Accounting is a mainstay of every business, but it can be a difficult feat to manage without the right tools and resources. Keeping a company’s finances in order is the only way to track growth, manage cash flow, and avoid going into the red. Startups and established companies need to prioritize accounting, yet many don’t know the best way to do so. Accounting software isn’t the right solution for every business, but it may be your key to better financial management and growth. The question of whether accounting software is worth the investment for your company comes down in large part to who is in charge of your finances, and how this person’s mathematics skills hold up. If you opted away from hiring a professional accountant in lieu of doing your own accounting or having a friend do your finances, examine how well it has worked out for your company so far. Are you comfortable doing your own financial accounting, tackling spreadsheets, and managing the budget? If you’ve been doing your own accounting without a hitch and aren’t ready to delegate, you’re most likely fine without software. If, on the other hand, you don’t enjoy managing your own finances or you aren’t a confident mathematician, you could be opening your business up to major financial risks. Your business’s finances are no place to skimp on cost investment if you need professional help. Most small businesses at least hire a professional accountant for the first few months of starting a company, to ensure everything is in order and to create a template for the future. Accounting software can be a scalable and more affordable solution to delegating your financial management. Accounting software isn’t a perfect, fix-all solution for any and every business. It is a viable way to manage finances only if the pros outweigh the cons for your particular company. Examine both sides of the accounting software question to determine if it’s a smart investment. One of the greatest pros of accounting software is consistent, completely accurate financials. It limits the odds of wasting resources and paying for business inefficiencies, delivering precise financial information on time, every time. It also saves time and energy, by automating tedious processes, such as entering data into spreadsheets. You’ll enjoy more time to focus on other aspects of business, such as customer service and marketing campaigns. 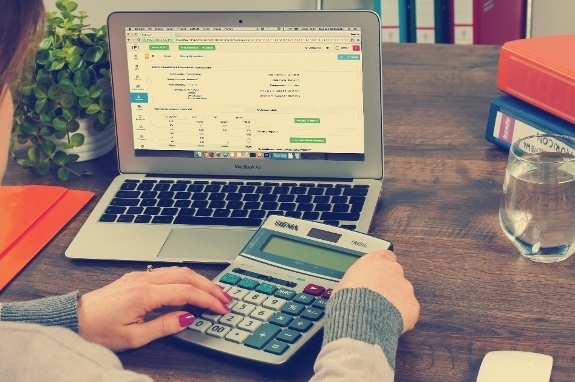 Accounting software also lowers your risk of making major accounting mistakes as a small business owner, such as miscalculating balances or misclassifying expenses. Accounting is a complex field that should be in the hands of someone qualified to handle the finances. Accounting software, when used correctly, removes the risk of human errors during data entry and calculations. Accounting software can also keep your data more secure, give you access to documents online, and let you back up your data to the cloud. In the long term, accounting software can be a more cost-effective solution than hiring a full-time accountant. One of the biggest cons of accounting software is difficulty of use. Although accounting platforms are becoming more user friendly with technological advancements, it still takes a bit of training and practice to use the software to its full potential. A business owner can make mistakes with software, including choosing the wrong software, failing to save physical documents, and not recording transactions in the system right away. Accounting software is only an ideal solution if a business owner knows how and when to use it. Should Your Business Invest in AS? To find out if you should invest in accounting software, weigh the benefits and drawbacks. Different companies will have different cost vs. value of accounting software. Consider whether your business would enjoy time savings, more accurate recordkeeping, and financial advantages with accounting software, or if it’s an unnecessary expense for your business at the moment. Remember, you can always invest in software later as your business expands and requires more in-depth financial services.